Topic: More safety and less online discrimination. A project that aims at raising young people's awareness on cyber-bullying and its consequences. 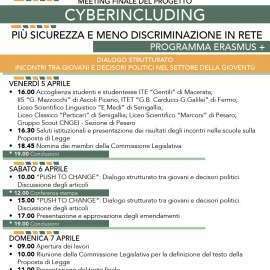 The project "Cyber-Including" comes from the experience of "Osservatorio di Genere" which has been working for years on social issues such as bullying, both virtual and non, and the various forms of discrimination to which it is linked. 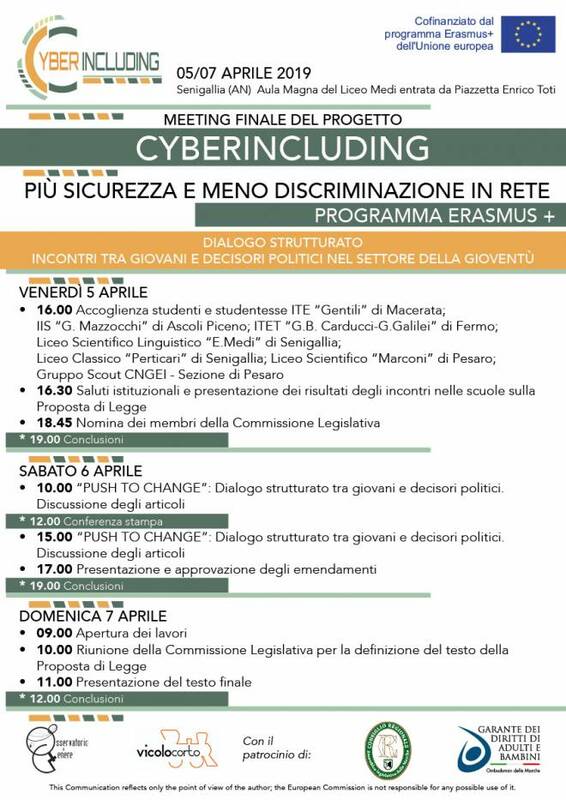 In particular, "Cyber ​​Including" provides the opportunity for the development of educational and dialogue moments aimed at young people in the area and at the development of documents that, starting from the ideas of the children themselves, will lead to the creation of a draft law that, at the end of the process, will be presented in Parliament for discussion and approval. The project is structured on the basis of a partnership involving schools, associations of the territory, including Vicolocorto, and parliamentarians of the Italian Republic and is aimed at drafting a bill for penalizing Cyberbullying. For its innovative topic and for the quality of the proposed participatory path, the project has been approved by the Italian National Agency and the European Commission, thus winning the chance to be realized thanks to European funding. From an educational point of view, CyberIncluding aims essentially at raising awareness among young people about hate-speech cases and their consequences. the fourth and last phase "PUSH TO CHANGE" is that of direct confrontation between young people and politicians: in a meeting of several days, they will have to work around the same tables, in order to modify the document initially prepared and approve the final version of the bill .